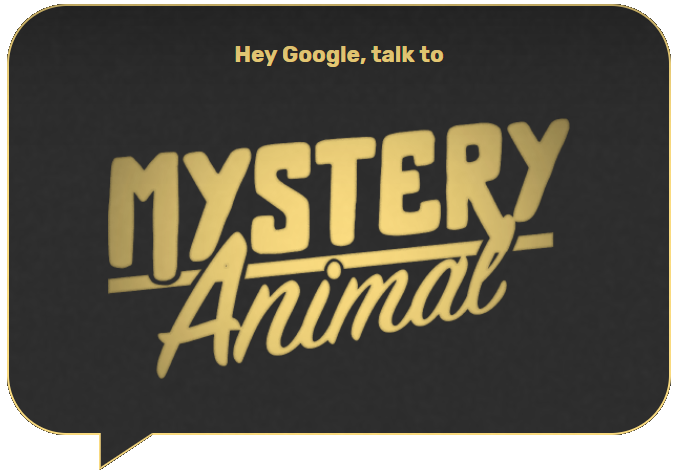 A common question I receive from folks is how can younger students use Google tools? I am always happy to email them my collection of resources, but figured it might be easier if I pulled everything together in a single blog post. 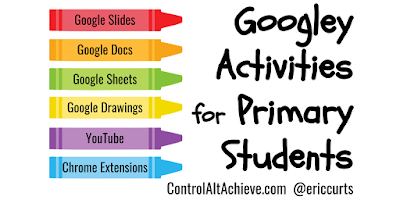 Over the years I have come across and/or created a wide range of fun and creative ways to use Google tools with primary aged students, typically considered to be pre-K through grade 2 or so. In this blog post I will share descriptions of and links to these activities. As I make new ones over time, I will try to come back and add them to this post so this stays up to date with all my resources. See below for the resources and have fun learning! 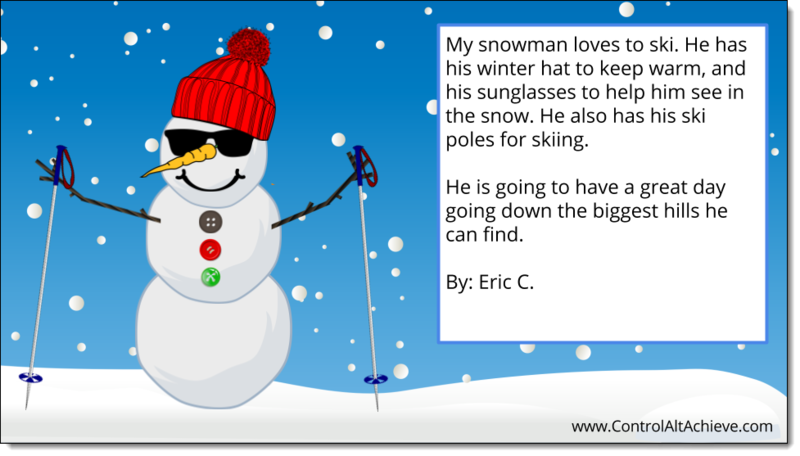 This is a fun activity where students make a snowman using pieces and parts provided, and then write a story about them. This is a great way to develop tech skills such as copy and paste, drag and drop, and basic of Google Slides. It also encourages creativity and writing skills. 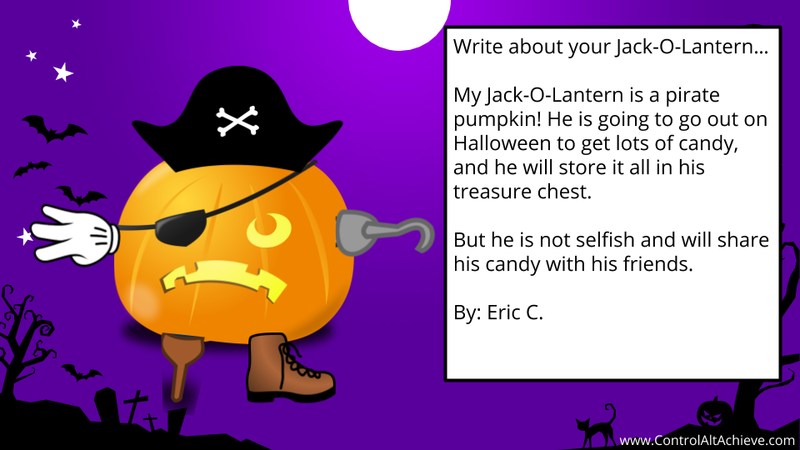 Very similar to the snowman activity, this one has students making a jack-o-lantern and writing about it. In addition to all of the skills addressed with the snowman activity, this one also encourages use of the shapes and polyline tools in Google Slides. I did not create these specific activities, but they were inspired by my snowman and jack-o-lantern templates. Beth Kingsley and Kelley Costa made these and were kind enough to share them. 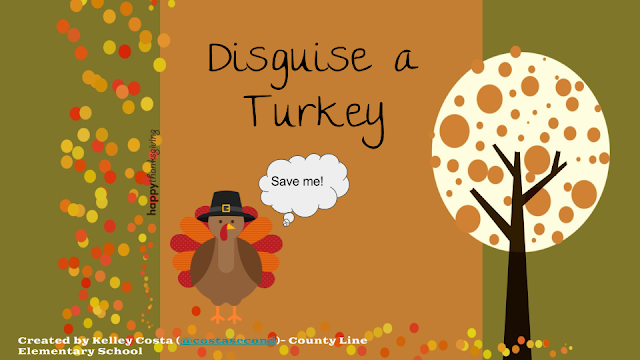 Similar to my templates, students use these to make a turkey in Google slides and then write about it. This activity is a great tie-in for "Read Across America" (and the birthday of Dr. Seuss) but can really be used anytime. It helps teach students about sorting items into categories, but also reinforces tech skills such as drag and drop. 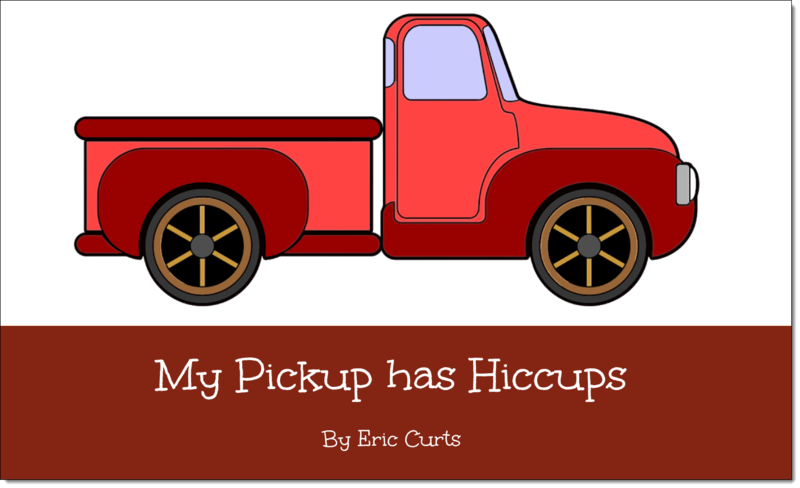 Another non-traditional use for Google Slides is creating eBooks. 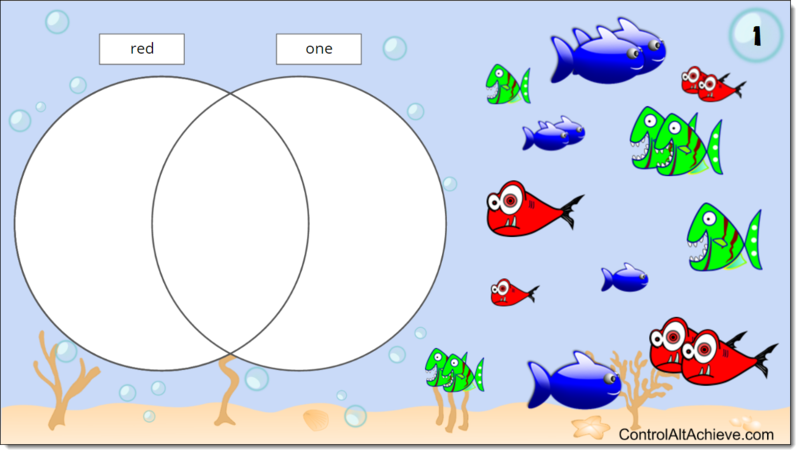 Students can do this from scratch or with the simple templates provided in this post. When done, the storybooks can be printed out, turned into PDFs, or simply shared online. Google Sheets is not just for crunching numbers! 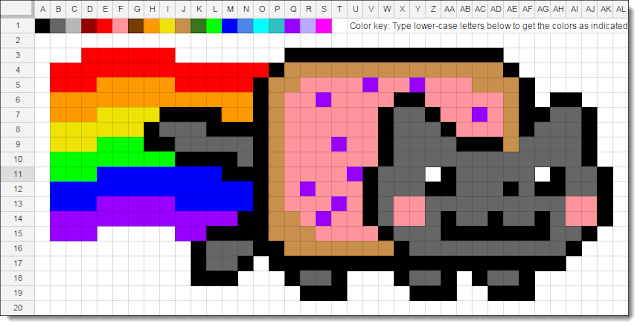 It can also be used for creating pixel art images. This template makes it easy for little ones to make pixel art just by typing in letters and having the colors automatically fill in. This is great for creativity, keyboarding, and improving letter recognition. When we think of Google Docs, we usually think of text, but it also supports the use of emojis. 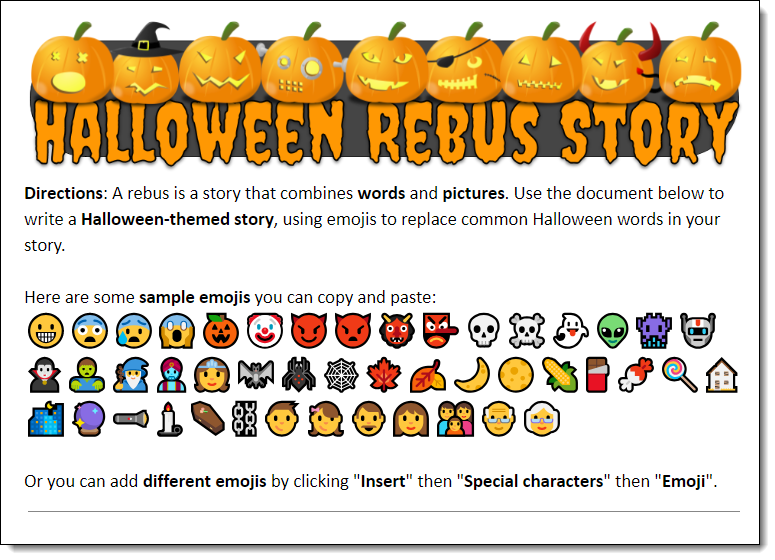 In this blog post we look at several ways that emojis can be used with students including pictographs, stories, and more. A specific example of using emojis in Docs is using them to create rebus stories. 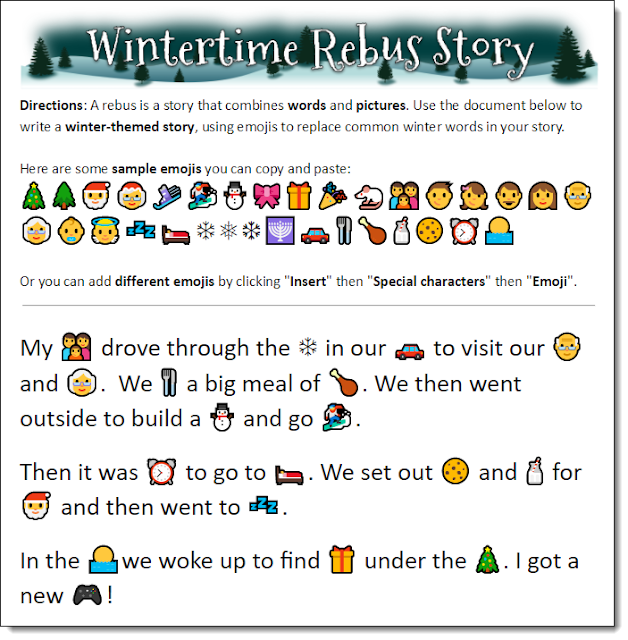 This can help students write stories even if they do not know how to spell all the words they wish to use. This post provides a winter-themed template to get them started. 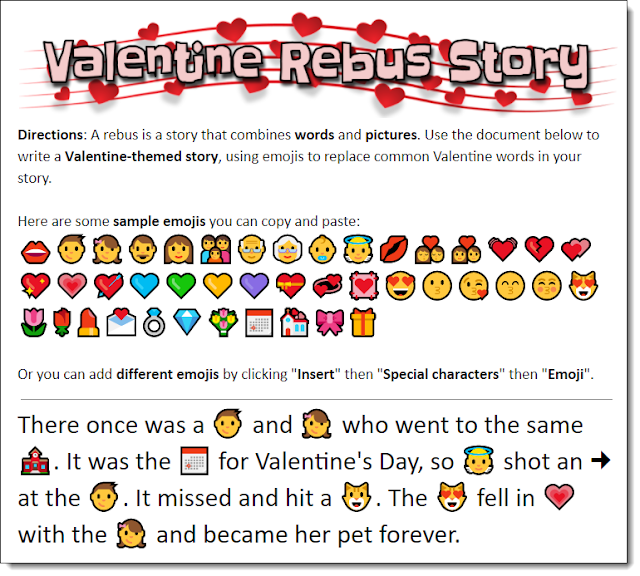 Just like the winter-themed template, this post has a Valentine-themed template to use for writing a rebus story in Docs. And to round out the rebus writing, this post has a template for a Halloween story with emojis. 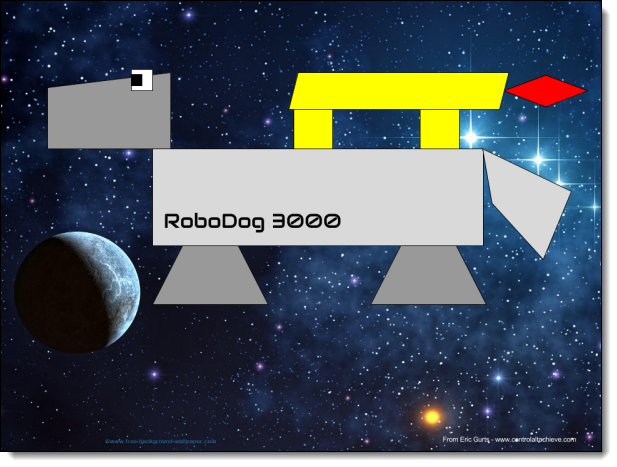 Google Drawings lends itself to many math topics with the ability to make and manipulate shapes. In this post we cover several ways you can teach math with Drawings. Although some of the examples would be for older students, there are still many that apply to primary students including partitioning shapes, identifying different shapes, sorting objects be different attributes, and more. 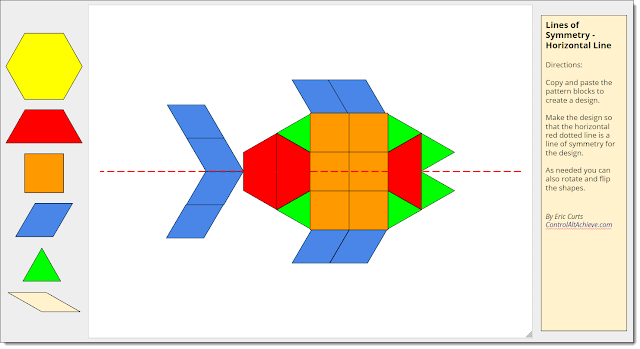 Another good math application for Google Drawing is virtual pattern blocks. Students can use these digital manipulatives to learn about shapes, patterns, symmetry, and be creative in general. Google Drawings also works well for drag and drop activities like "Magnetic Poetry". With this template students are provided with 100 common words from the Dolch list, as well as many winter-themed words. They can them drag and drop these words onto the canvas to write a poem, sentence, or story. Just like the winter option, this Google Drawing template lets students create a Valentine-themed poem from draggable words. For one more "Magnetic Poetry" example, this template is spring-themed. Music is a wonderful way for students to be creative, express themselves, and even learn about connected topics such as math. 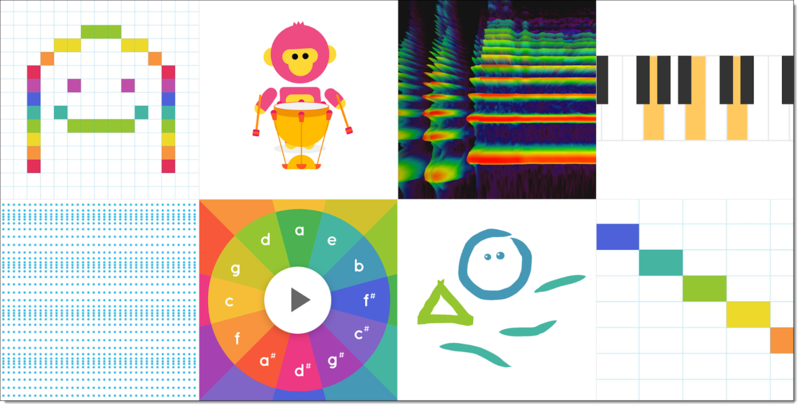 With Chrome Music Lab students get 13 interactive music tools to play with to make music, explore rhythms, and more. Although this post was originally developed to showcase assistive technology and accomodation tools, many of these resources can be helpful for young learners. 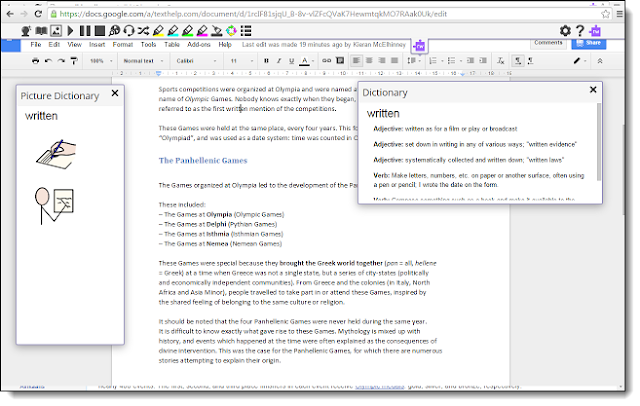 The extensions covered in this post include text-to-speech tools to read content aloud to students, tools to clean up webpages to make them less distracting and and more easy to read, and much more. Mystery Animal is an interactive game from Google that lets students play "20 Questions" to try to guess an animal. 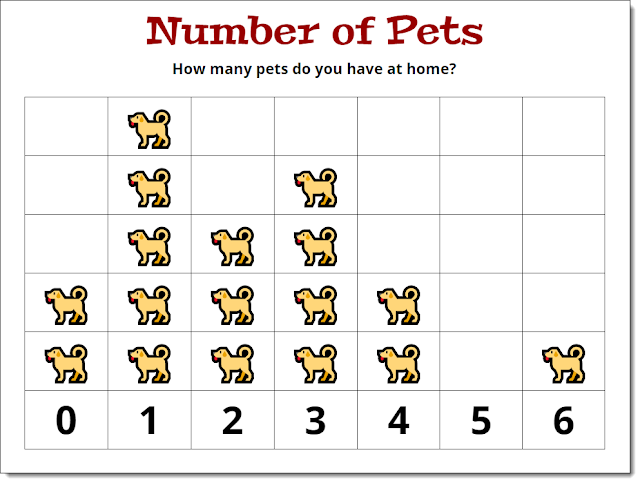 This can be a great way for students to develop good questions, work as a team, and learn about animals in the process. Once you get past the cat videos, YouTube has so much wonderful educational content for students (although the cats are cool too). One useful resource on YouTube are videos of story books being read aloud. In this post I have pull together a list of many channels that feature read aloud book videos. Technology is a powerful tool for teaching and learning regardless of age. There are many ways that primary students can create, collaborate, explore, and learn with Google tools. Over time as I add new posts to the blog that are applicable to younger students, I will update this post as well to include them here. If you have resources and activities for primary students please feel free to share them in the comments below! Tremendous collection, Eric. Thanks for sharing everything! A great round-up with lots of useful ideas. Thanks Eric. 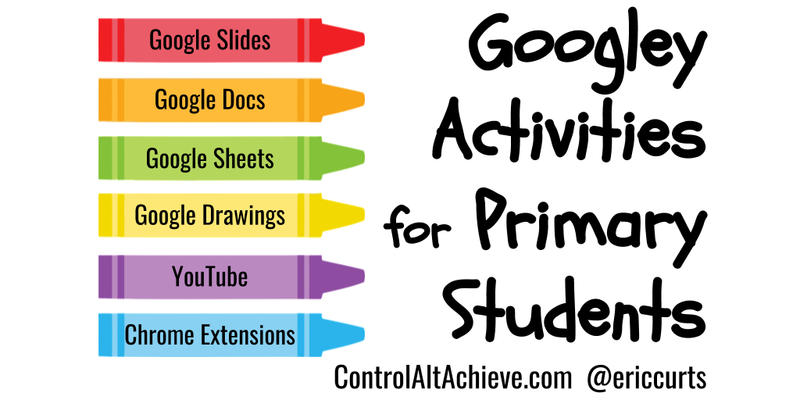 What about adding animation using Google slides to the list? Here are some examples I have used with primary learners. This is an awesome collection of activities! Thank you so much for sharing, Eric!